On July 12, 2010, the politician and regime-critic Alejandro Peña Esclusa was arrested in Venezuela accused of terrorism, an absurd accusation for anyone who cares to look into the facts. March 13, 2007, a biographical article was created about him on Italian Wikipedia, linking him to terrorism by presenting false, misleading, and irrelevant statements. In spite of repeated attempts at removing the libelous claims over the years, they remain there to this day. Mr Peña is a sworn enemy to communism, and accuses the present Venezuelan regime to be an ally to the communists in Cuba, and the marxist FARC terrorist guerilla in Colombia. His biographical article was created by a communist, judging from his user page. By blocking every attempt to fundamentally correct the article, Wikipedia is spreading terrorist propaganda. Wikipedia is a user-edited encyclopedic project. Anybody can edit, but certain users called admins have the power to block other users, or to lock articles from editing. There are Wikipedias in many languages apart from English. Since each project, each language that is, writes its own rules, a small but determined ideological group can turn their local Wikipedia into a propaganda outlet, while lending credibility from the original, English, Wikipedia project. While the English site often is an excellent resource, it is clear that not all is well in wikiworld. Effective propaganda should be indirect, not direct (as opposed to promotion). The purpose should not be evident. The originator should not be apparent. The message should appear as being commonly accepted knowledge. It is my observation that an often used device for spreading ideas (that you have no support for) is to present the message as incidental information in a dependent clause, or as “additional information”, giving the impression that it is common knowledge. I first noticed the device on FOX News when I followed the channel non-stop for many hours. All of a sudden they started mentioning a fact as if they had just talked about that piece of news and established it as a fact, but they never did present any such story. They just pretended they had (it related to Yassir Arafat). Alejandro Peña Esclusa has been a vocal critic of Hugo Chávez since 1995, accusing him of being allied with the FARC narco-guerilla in Colombia. FARC is considered a terrorist group by the US, EU, and others. Since we now have strong evidence that Mr Peña Esclusa has been right, we can conclude that it is – and has been for 15 years – in FARC’s and Chávez’s interests to discredit him. Alejandro Peña Esclusa (1954) è un politico venezuelano, leader del partito Fuerza Solidaria. Nel 1998 fu candidato alle presidenziali in Venezuela, raccogliendo un totale di 2.424 voti pari allo 0,04%. Membro della setta Tradizione, Famiglia e Proprietà, movimento filo-fascista, che permette l’ingresso solo a coloro che dimostrano di essere di razza ariana pura. La setta sarebbe stata organizzatrice di attentati contro Giovanni Paolo II durante il suo viaggio a Caracas il 13 novembre 1984, e al presidente degli Stati Uniti d’America, Ronald Reagan, in seguito ai quali la setta è stata dichiarata fuorilegge in Venezuela, Francia, Spagnae Argentina, paesi dove era maggiormente radicata. L’11 aprile 2002, Peña Esclusa partecipa al tentato colpo di stato in Venezuela. Alle ultime elezioni presidenziali venezuelane, svoltesi nel 2006, si è scagliato contro il capo dell’opposizione Manuel Rosales, per aver dichiarato la propria sconfitta nei confronti del presidente Hugo Chavez. Nel suo programma politico attuale propugna oggi il rovesciamento violento dei governi di centro-sinistra latinoamericani e il ritorno di dittature militari. Tra i suoi referenti politici vi sono ambienti neoconservatori statunitensi e il partito di ultradestra di El Salvador, Arena. Ha creato particolare scalpore il suo incontro in Italia con esponenti dell’UDC, tra i quali il segretario nazionale Lorenzo Cesa, avvenuto l’8 marzo 2007 a Roma. There is only one source cited, a personal blog of a journalist who is openly hostile to Mr Peña. The paragraph where the reference appears speaks about a religious group called Tradition, Family, and Property, why nothing in that paragraph belongs in this article. Furthermore, the paragraph makes accusations that do not even appear in the TFP article. These are serious errors for an article on Wikipedia, and still it has remained that way for over 3 years, through 73 edits, by 31 different editors. Something is obviously amiss here. But let’s see what it says. Mr Peña is (falsely) accused of being a member of TFP, which is described as a “fascist-friendly sect that allows entry only to those that can demonstrate that they are of pure Aryan race”. 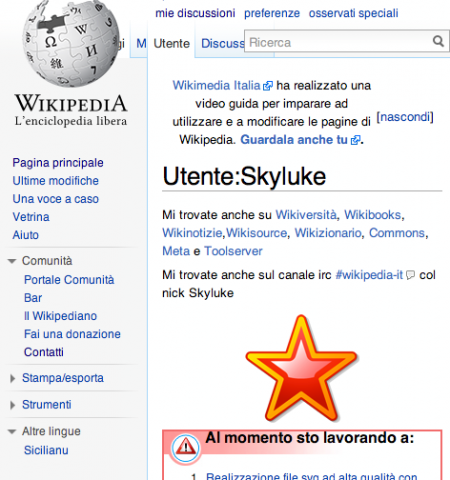 The article was created March 13, 2007, by user Skyluke (who openly displays a communist star on his user page). The original page was virtually identical to what is shown above. The main difference is that two sentences were added by an anonymous user on May 12, 2007, stating that his political program includes the “violent overthrow of center-left governments in Latin America” by military coups, and that he is ideologically aligned with US neoconservatives and the “extreme right” party Arena in El Salvador, respectively. From May 12, 2007, to July 14, 2010, the article contained these un-sourced libelous claims, in spite of repeated attempts to correct the article text. On July 9, 2008, the article text was replaced entirely by a text in Spanish providing a decidedly positive point of view. This was done in violation of Wikipedia rules, and the change was undone quite correctly. However, nobody seems to have picked up the pieces of information present in that version, which they could have, if they really had desired to improve the article. April 8, 2010, a third anonymous user removed the claim that he is a member of TFP (the third paragraph in the text above), with the comment that “it is not true.” Four hours later Skyluke undid the change and reinserted the libelous claim, also without justification. On July 14, 2010 (after his arrest), a forth anonymous user removed both the third and the forth paragraphs (everything dealing with TFP). Within seconds(!!) this change was undone by user Siciliano Edivad, again without justification. On July 15, 2010, I added one reference, and flagged the article as lacking adequate references. On July 17, 2010, at 18:01, I wrote on the talk page that the article “contains potentially libelous claims without source that should be removed immediately”. In the next 4 hours, three different users made four different edits, but nobody did anything to add sources or remove libelous claims. 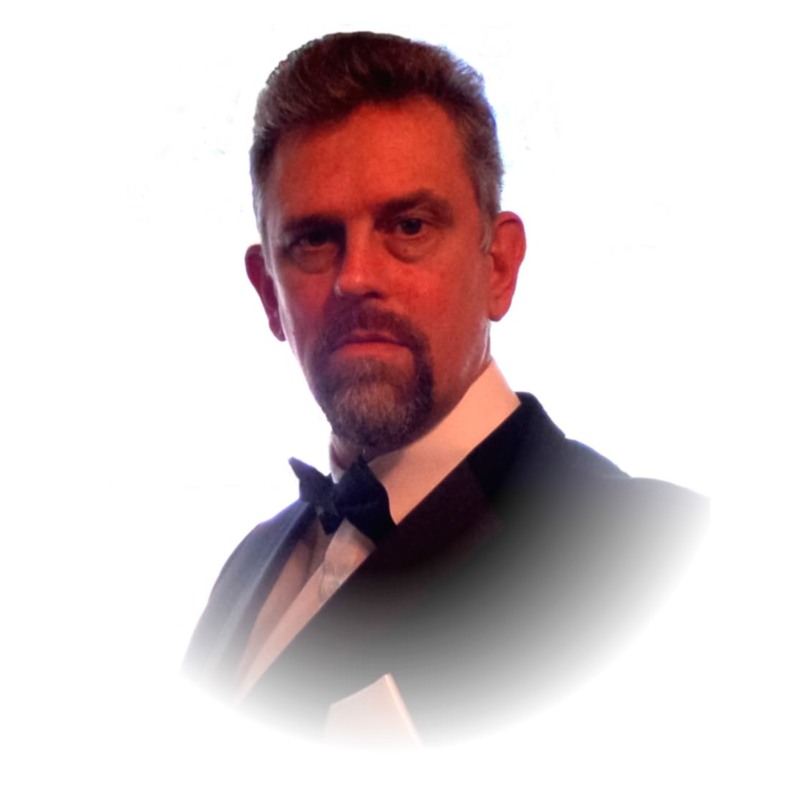 At 22:25, I took action, removed all paragraphs containing un-sourced or inadequately sourced potentially libelous claims, and made a note in the talk page. Five minutes later user L736E reinserted them, again, without justification. This was repeated a second time; see talk page. On July 18, 2010, user Lepido made a series of improvements to the article, although it retained the libelous claims relating to TFP, and it still omitted crucial material. To correct this, I incorporated all the text from the English article, and combined it with the Italian text. Two hours later, at 01:33 July 19, an anonymous user reverted all the changes, naturally without justification. Another user reinserted my longer text, and admin Vituzzu again removed it. On the talk page, I explicitly pointed out that the existing article text was communist propaganda. Thus, when Vituzzu re-inserted the libelous text the last time, he had been warned that it was communist propaganda, and he still posted it. Quite deliberately. Furthermore, he blocked me from Italian Wikipedia to prevent me from raising the matter with those legally responsible for the site. The warning flag for bias that I inserted was taken away by L736E on July 19, claiming that the article was balanced and with adequate sources. That is, however, not true. The article remains libelous and biased today. Who are these users who have contributed to this material support to a terrorist organization? I don’t know. For all we know they may be children, or they may be FARC members posting from the jungle in South America; there is just no way a reader of Wikipedia can find out who wrote the text. The Wikipedia foundation does not have editors, but leaves the editing to the users, without any policing. Thus, the one to hold accountable here is primarily the Wikipedia foundation, since it provides the platform and is in effect the publisher of the libel, as I see it. But Fuerza Solidaria (an NGO that Peña leads) told me in an interview today that they have tried for years to get that libel removed from Italian Wikipedia, without success. Of course it is difficult to raise a libel suit in Italy from Venezuela, but this raises a legal issue that perhaps the European Parliament should deal with. Crooks should not get a free pass by slandering a person on a different continent via the internet. Let us examine this message in detail. The statement that he is a member of FTP is false, denied by himself, while the statement characterizing FTP is referenced only partially, and then to an openly biased source. Furthermore, the description of FTP does not belong in this article, but in the FTP article. Note that not a single word in the forth paragraph above has anything at all to do with this article. It is also worth noting that none of these accusations against FTP appear in the actual article about FTP, which strongly suggest that they, too, are false. So why put in irrelevant falsehoods? It is not by chance, that is obvious from the change history: The various clauses have been re-inserted several times after being removed. They must serve a purpose, and we can easily guess which, if we know some things about Mr Peña that are left out from the article. And there is the other part of the propaganda: Critical omissions. Certain facts must be held back, namely those facts that would enable the reader to understand the purpose of the propaganda, or as it were, why the seemingly irrelevant statements are there. In this case, that Mr Peña is a leading critic of Hugo Chávez, considering him a front man for Castro and a collaborator with FARC, and that Peña is advocating for legal, peaceful, and democratic methods to be used. These are the well-sourced facts that I, in vain, tried to get into the article, and for which I was blocked from Italian Wikipedia for, as they wrote, “being biased”. The purpose of this propaganda article in Wikipedia is thus both to undermine his credibility in the public debate so that people don’t listen to his words, and to make the general public think that he is a bad guy who belongs in jail. The conclusion is thus near that Wikipedia has been used as a propaganda channel for preparing the public to accept as believable the manufactured evidence that Mr Peña is a terrorist, and to accept that he belongs in jail in Venezuela, so that this fierce critic of Chávez could be put away without a global PR fiasco. But a PR fiasco it is. Earlier this month the European Parliament adopted a statement regarding Venezuela, and in particular the case of judge Maria Lourdes Afiuni, who has spent the last 7 months in jail totally against the law. The statement, available in all EU languages, is largely devoted to the case of judge Afiuni, who was imprisoned just because Chávez said so, in his TV program. He made it clear that he wanted her in jail for 30 years, and that he wanted the Congress to retroactively change the law so she could be convicted to a longer penalty. The fact that no evidence has been found for her alleged crime has not motivated her release. The European Parliament made it clear that they consider the rule of law in Venezuela to be suspended, and goes as far as to use the word condemn. The parliament “Condemns the public statements made by [Hugo Chávez], insulting and denigrating the judge, demanding a maximum sentence and requesting a modification of the law to enable a more severe penalty to be imposed; considers that these statements are aggravating the circumstances of her detention and constitute an attack on the independence of the judiciary by the President of a nation, who should be its first guarantor”. It is not likely Hugo will comply. Just four days later, July 12, Chávez sent a, shall we say, diplomatic signal back to the EU, by having his political police arrest a man who has been his political opponent ever since Chávez was released from prison after his failed military coup in 1992: Alejandro Peña Esclusa. Perhaps the neo-communists thought Mr Peña would be an easy target, given how he has been the victim of a slander campaign by communists for years. However, his arrest may have backfired, giving much increased global publicity about the true nature of the regime. One year ago, when president Zelaya was deposed in Honduras, the star of Chávez was still high in Europe. Europeans in general (including media) did not believe the statements from Honduras that Chávez was behind the illegal plans of Zelaya, which is what caused the Supreme Court to order the arrest of the latter. However, on July 26, 2009, I published an article on this blog that, it appears, brought a news story from Colombia to the attention of media in Sweden. The Swedish title of the article was, in translation, Chávez’s generals gave Swedish anti-tank weapons to terrorists. It was based on an article in Semana that cited facts found on the infamous FARC computer, and verified with the Swedish authorities, proving that weapons type AT-4 sold from Sweden to Venezuela had ended up in the hands of FARC, by the help of Venezuelan generals. My modest contribution was simply to put this explosive news (pardon the pun) under the nose of the Swedish editors. Within hours all media had the story, and before lunch the government had taken the decision to stop indefinitely the export of Swedish weapons to Venezuela. Today the star of Chávez in Sweden is decidedly much closer to the ground, if not already below it. The politically motivated arrest of judge Afiuni and Mr Peña Esclusa are perhaps the most visible cases, but they are just two out of many political prisoners in Venezuela today. Another problem is that the “arbitrary confiscation and expropriation, involving more than 760 enterprises since 2005 … undermine the basic social and economic rights of citizens” as the EU parliament put it. Alejandro Peña Esclusa has argued since last year that the Venezuelans should learn from Honduras, that it is possible to peacefully stop a developing dictatorship by applying the laws and follow the constitution. Indira Ramirez de Peña has said in the TV program LA NOCHE in Colombia, after her husband’s arrest, that the example of Honduras scares Chávez, and that this is the reason her husband was arrested; to stop him from spreading the knowledge to the Venezuelan people of how they can defeat Chávez peacefully. Personally I would suggest that they also study and learn from how the Baltic states of Estonia, Latvia and Lithuania made themselves free from the Soviet Union in the so-called singing revolution. Venezuela is increasingly developing into a totalitarian state. Although it is not there yet, the developments and signals this summer have been very worrisome. If Chávez looses control over the parliament on September 26, he will no longer be able to rule as a dictator. There is nothing that indicates that he is prepared to take that risk. He is refusing to allow election observers from Chile, for instance. He has made it clear that he intends to exercise control over the only remaining opposition TV news channel, Globovision. Furthermore, even if the opposition wins, Chávez has already prepared to castrate the parliament by not giving them budget responsibility. There is thus not much that speaks for Venezuela being a democracy today. As if all this is not enough, Colombia has now presented evidence for large guerilla bases in Venezuela, belonging to FARC and ELN, organizations that are classified as terrorist groups by the EU and US, and which are major players in the smuggling of cocaine to Europe and North America. Chávez reacted with fury to the news, rather than – as a democratic leader would have done – promise to rout them out. This shows that beyond reasonable doubt Chávez is in cohorts with those narco-terrorists. In other words, Venezuela is a state sponsor of terrorism. It would not surprise me if those who defended Chávez in relation to the crisis in Honduras last year are now mighty red-faced. Unless, of course, they already were red… If you go back and read comments on this blog, you may get a good laugh. Again it turns out that things aren’t always what they seem to be. When looking at a suspended solution in much higher resolution than before, unsuspected details emerged. Turbidity of settling 2,000 FTU formazin measured every 20 seconds. Yellow area is over 2200 FTU. CLick to read more. What appeared to be a uniform suspension in which the particles sank in their characteristic settling velocity, turned out to apparently be a liquid with significant turbulence. Small “packages” of water with higher turbidity (lighter) or lower (darker) move in opposite direction in front of the sensor. The sensor is a SediMeter, consisting of 36 infrared optical backscatter detectors (OBS) 10 mm apart. It was developed for studying sedimentation, erosion, siltation and re-suspension. Note that at time 16:40 there is some fascinating micro-turbulence with variations of around 10% within a minute outside a given sensor. If measuring once per minute, this might have been interpreted as noise, but with this high temporal resolution, one can clearly see how discrete packets of more turbid water are sinking. As reported here 2 days ago, in Character-Assassination of Political Prisoner on Wikipedia, the Italian-language version of the popular free online encyclopedia has for a long time hosted an openly biased and clearly libelous article about the Venezuelan opposition-politician Alejandro Peña Esclusa. Since that article was published, the editor has gone in and removed the two sentences that I quoted the other day. Kind of (see below). However, he also removed the flag that the article is biased and lacks credible sources – in spite of the fact that many problems still exist. Reference 2 speaks about the alleged attack plans, not about his membership in the organization. There is thus no source for the only claim that is relevant: The allegation that he is a member of an organization that is outlawed in his country. In other words, they are accusing him of committing a crime without presenting any proof whatsoever. Apart from this obvious legal embarrassment for Wikipedia, the article remains negatively biased against Peña Esclusa. For instance, his own arguments, in his own defense, recorded in videos posted online before his arrest, are not even mentioned. Whenever a user introduced such text and references, an admin immediately deleted it. Furthermore, the biased intentions of the editor can be deduced from the fact that the two problematic sentences I mentioned last time were not actually removed from the file. They were just commented out by admin “Vituzzu”. As soon as nobody is watching, any user can remove the comment-characters and make the libel re-appear. An examination of the history of the article shows that the efforts to keep smears in place is not something new. On April 8, 2010, an anonymous user took away the sentence saying that he was “a member of the Tradition, Family and Property movement, which only allows Aryans as members” with the comment that “it is not true”. Almost immediately the sentence was reinserted by user Skyluke, whose page you can see below. Draw your own conclusions. It’s not so easy for the falsely accused to defend himself against this libel, given that he is a political prisoner in Venezuela. But if it was me, and I could get word to my lawyer, I would tell him to send a cease and desist letter; not to Italian Wikipedia, but to the mother-foundation in the US. You see, by them allowing the Italian site to use the name wikipedia, they are lending their credibility to the articles also in Italian. It is a fact that also non-Italian users have used this article to get – as they thought – neutral and balanced information about who he is, after the news of his arrest went over the world last week. This has caused a large number of people to decide not to try to help him, as evidenced from discussion pages on the internet. One of the arguments of the Italian editors was that the text was putative, not decisive. Tough luck. That does non come through in the machine translations on the Internet. Nor does the lack of credible sources come through. Speaking of which, the page still retains as a presumably neutral source a journalist who is demonstrably hostile to the person of the article. I am looking forward to see how this plays out. It would be an interesting legal case if it would play out, given the many legal facts to consider. (Disclaimer: This is just my opinions, and nobody should take it as advice.) Although a much better solution is of course that the Wikipedia Foundation realizes that an innocent person has been harmed, and takes actions to both help him, and to prevent it from happening again. For instance, by mandating that the rules for protecting biographies on living persons be followed by all sites associated with them. To help undo the damage, they could set experts to edit the article about Mr. Peña, and present it as a featured article. Venezuela’s president, or dictator – depending on whom you ask – Hugo Chávez Frías, has declared that according to him, the government now owns a minority stake of 25.8% in Globovisión, and insists that he has the right to appoint a director. The person he has in mind is Mario Silva, a talk show host on state TV who is using his platform to vilify Globovisión. The majority owner of Globovisión, Guillermo Zuloaga, says to Miami Herald that the claim is “absurd” and that Chávez has his facts wrong. Last month an arrest warrant was issued for Mr. Zuloaga and his son, who fled the country and are now, reportedly, considering seeking political asylum in the US. Globovisión is the last TV-network critical of Chávez that remains in Venezuela. They reach 42% of the population with 24-hour news that has a critical angle to the regime. On September 26 parliamentary elections will be held. If Chávez follows through on his intentions, there will be no free and fair elections, since free and fair elections requires a free debate, which requires that there is more than one voice in media. Judging from the acts of Chávez this year, he is getting increasingly desperate in his efforts to remain in power. The last parliamentary elections 5 years ago the opposition unwisely boycotted, giving him an easy victory. This time they are instead united behind a single candidate in each precinct. In February Chávez had the judge María Lourdes Afiuni imprisoned for setting a person free after three years without trial. He was released since the prosecutor consistently failed to show up at scheduled trials. Although the law says he couldn’t be held for more than two years, his release caused Chávez to get furious on TV, and order her incarceration. This caused the European Parliament to issue a condemnation of Venezuela on July 8, 2010 and calling for them to be invited to monitor the elections September 26. To which as we have seen, Chávez responded by figuratively giving them the finger, arresting his outspoken political opponent Alejandro Peña Esclusa on patently false charges, on July 12. In March one of Chávez’s judges had an opposition politician imprisoned just for demanding an investigation (on Globovisión) of the accusations made by a Spanish judge regarding possible contacts between the Venezuelan government and drug-smuggling and terrorist organizations such as FARC and ETA. Unless very drastic measures, and extreme pressure is put on Venezuela now, there seems to be no hope for democracy this year. There must be a free opposition media, and there must be independent election observers, both during the election campaign and the actual election and vote counting. However, remember Stalin’s words, “it is not who votes that counts, but who counts the votes.” Venezuela uses its own, state-controlled electronic voting machines. It may be that the only way the Venezuelan people can get rid of Chávez is through a legal process that does not involve elections. The fact that such a process can work, peacefully, has been demonstrated many times the last 20 odd years, from East Germany to Honduras. There is no reason why it would not work also in Venezuela. Last edited 11:10, created 10:08 – Three days ago, the Italian Wikipedia article about Alejandro Peña Esclusa consisted almost entirely of clearly libelous and false claims. Over a period of 3 days the editors have refused to remove the libelous claims, blocked attempts by other users both to remove the libel, and efforts to introduce Peña’s self-confessed political opinions as a balance. As reported the other day (English, Swedish), Alejandro Peña Esclusa is an anti-communist politician and activist imprisoned by Hugo Chavez on July 12, 2010, on manufactured and laughable terrorist charges, and held by a kangaroo court. The Wikipedia article about him in Italian was a pure hit-job, accusing him of attempted murder, for being a coupster, fascist, anti-semite, racist; most either without source, or sourced to statements by political enemies. A big effort yesterday to incorporate well sourced and NPOV (neutral point of view) material from the English Wikipedia article immediately got deleted. For good measure, the user got blocked from doing further edits. Another user re-inserted it and it again got deleted. The libelous text was reinserted. Little does it help that it was flagged as biased and lacking credible sources, when some of it was patently false and libelous. Here is an example of the reinserted text, as it stands at 10:24 today: “Nel suo programma politico attuale propugna oggi il rovesciamento violento dei governi di centro-sinistra latinoamericani e il ritorno di dittature militari.” In translation, “In his present political program he is advocating the violent overthrowing of the center-left governments of Latin America and the return of military dictatorships.” No source is provided. In spite of repeatedly providing quotes from Peña, video-recordings where he himself states that he opposes violence, to the editors, they let the libelous statement stand, and delete the refutations. The quoted text mentions “center-left governments,” which should have been a warning flag for the editors, being the terminology of Hugo Chávez’s “Bolivarian Revolution” and “Socialism in the XXI Century.” Neutral observers rarely consider governments that socialize companies “center”. A link to a video where Peña Esclusa himself declares that he denounces violence as a political method was provided, but rejected by the editors. Here is a quote from another website under his control: “the Venezuelans ought to become inspired by the Honduran model, and strive for a change of government as soon as possible, through pacific, democratic, and constitutional means–and not just electoral–to avoid a national tragedy” (my emphasis). To allow the unsourced claim to stand, in complete contradiction to his own clearly stated and sourced political ideology (in the translated article), is beyond incompetence. It is either deliberate libel, or libel through gross negligence, since the concerns had been clearly pointed out in the discussion page. The history of the increasingly frustrating efforts to make the administrators (admin for short, i.e., the Wikipedia term for editors) agree to remove the libelous claims can be read on the discussion page and the history page on Italian Wikipedia. The first mentioning of the problem was made on the discussion page 2010-07-17 18:01 CEST, with the following message: “This page appears to contain potentially libelous claims without source, that should be removed immediately – this needs to be addressed by an editor in Italian wikipedia.” The rules for articles on living persons in English Wikipedia (there is no Italian translation) clearly states that one should delete such text immediately, but out of courtesy a chance was given to the Italian users to correct the page first. When after 4 hours nothing had happened, all libelous and unsourced claims were removed. That only left one sentence in the article – which goes a long way to show how biased it was. Among the libelous claims that he re-instated was this: “On April 12, 2002, Peña Esclusa participated in the failed coup d’état in Venezuela.” No source for this statement was given. The fact is that he was arrested and promptly set free. The judicial principles are that if the prosecution of a person is dropped, then he is to be regarded innocent, just as if he been declared innocent by a court of law. This sentence in the article was thus demonstrably libelous. Being from the person’s ideological enemies, the communists, it was also communist propaganda. There was thus every reason to either remove it, or rephrase the text to state that it is an accusation from his political enemies. But it had to be done immediately, not “mañana”. However, when the communist propaganda-nature of the libelous statements was pointed out to admin L726E, he took the argument as a personal attack against him(!). As a result, another admin, calling himself Vito Giulio-Claudio at the time, blocked not just further edits but also all discussion and messages. The Italian admins thus have all the clout they need to stop the libelous attacks on Alejandro Peña Esclusa, but instead they chose to use their clout to keep the libel in place by avoiding fundamental changes. The Wikipedia Foundation would be well advised to permanently block those irresponsible administrators who let libel stand, especially in a case like this, when the person’s life quite literally is in the balance–and just might depend on the veracity of that information. Footnote: Wikipedia in June announced that they would open up some 2000 hitherto locked articles to make editing easier, including many biographies of living persons (source DN). Example of Chávez’s propaganda, added 11:10: The new house organ of Hugo Chávez from 2009, Correo del Orinoco, has published an article in which they discuss a video of Alejandro Peña Esclusa talking in a church in 2007. In effect, what he is saying is calling for the congregation to follow the constitution and to protest peacefully. This is their way of demonstrating that Peña is a dangerous terrorist(!). If this is the most incriminating evidence they have, they have nothing. In other words, what the propaganda outlet suggests between the lines, is that to even be opposed to Chávez’s socialist revolution legally and peacefully is unacceptable, and deserves to lend a person in jail. I måndags kväll kastades Alejandro Peña Esclusa i politiskt fängelse av Hugo Chávez Frías, diktator i Den Bolivarianska Republiken Venezuela. Om detta har jag ännu inte sett ett ord i svenska media. Skandal! Om han kan kastas i fängelse utan att det uppmärksammas, då kan vem som helst kastas i fängelse utan att någon bryr sig. Vem är då Peña Esclusa? Han gav ut en bok 1994 i vilken han avslöjade Chávez som en marionett för Castro på Kuba, och för den marxistiska knarkgerillan FARC i Colombia, vars uppgift det var att sprida marxismen över hela den latinamerikanska kontinenten. Kom ihåg att detta var bara 2 år efter Chávez misslyckade militärkupp, och långt före någon av dem hade ställt upp som presidentkandidater. Det gjorde de bägge två år 1998. Chávez vann. Sedan dess har den nu fängslade ingenjören och demokratiförkämpen oavtröttligt försökt motarbeta den kommunistiska komplotten med alla till buds stående lagliga och demokratiska medel. Han är ledare för UnoAmérica, en paraplyorganisation för ca 200 ideella organisationer som slåss för att försvara demokratin i sina respektive länder över hela Latinamerika. Han deltar själv i opinionsbildning över hela kontinenten, till exempel i El Salvador där han varnade för länkarna mellan den gamla gerillan FMLN och Chávez. Trots det vann de, och en salvadoran figurerar i arresteringen av Peña Esclusa, som en påstådd terrorist som framkastade falska anklagelser om inblandning innan han gömdes undan på Kuba. En av de mera uppmärksammade aktionerna var när Peña Esclusa i augusti 2009 anmälde Chávez till Internationella Brottsmålsdomstolen (ICC) i Haag, för hans inblandning i försöken att kullstörta Honduras statsskick, och för att senare, när försöket stoppades av landets demokratiska institutioner, ha hotat med militär intervention för att återinsätta Zelaya. För att ha gjort denna anmälan till åklagare vill Chávez ha honom dömd för landsförräderi. Efter att i åratal förgäves ha försökt hitta någon anledning att fänglsa honom blev Chávez desperat, nu när valen den 26 september närmar sig och oppositionens styrka hela tiden tilltar. Därför kidnappade de en salvadoran vid namn Chávez Abarca i Guatemala och flög honom mot hans vilja till Venezuela, enligt dennes hustru. Enligt Venezuela kom han själv dit, inbjuden att genomföra terroristattacker, men utan att veta något eller ha några planer; det skulle han få på plats, sa han. Han pekade ut kontaktpersoner enligt Venezuela, och Peña Esclusa var en av dem. Innan någon annan kunde intervjua honom flögs han till Kuba och gömdes undan. Alejandro Peña Esclusa förstod naturligtvis att han skulle bli arresterad, så han spelade in en video i vilken han presenterade sin version av sakernas tillstånd för världsopinionen (med engelsk text del 1, del 2). Hans hustru Indira Ramirez de Peña har redogjort för hur påstådda sprängämnen planterades i deras 8-åriga dotters skrivbord vid husrannsakan. Hon påpekade också det absurda i att hennes man skulle ha förvarat sprängämnen i sitt hem även efter att han på video talat om för hela världen att han förväntades att bli arresterad inom ett dygn. Lögnen är totalt absurd (se t ex det colombianska TV-programmet LA NOCHE i onsdags kväll, i vilket hon har sällskap med ex-president Micheletti via satellit från Honduras). Den egentliga anledningen till arresteringen är naturligtvis som ett led i strävan att vinna valet den 26 september. Alla som vågar tala klartext är ett hot, och de tas om hand på det vis som diktatorer känner bäst: Med olagliga medel. Även majoritetsägarna i den enda kvarvarande regimkritiska TV-kanalen som når hela landet (42% av befolkningen) är efterlysta, men de har sedan länge flytt landet och uppges nu överväga att söka politisk asyl i USA. Det råder inte längre någon tvekan om att Hugo Chávez Frías är en diktator. Och just så kallade Micheletti honom igår: Herr diktator Hugo Chávez. På en direkt fråga vad han tyckte om mannen svarade den honduranska ex-presidenten att även om Chávez kallar honom för “goriletti” så föredrar han att inte svara med samma mynt, för han vill “inte förolämpa aporna”. På ett mera allvarligt plan så uttalade Micheletti sin bestörtning över den brist på reaktion som vi sett från människorättsorganisationer på detta uppenbara och mycket grava övergrepp. Han påpekade hyckleriet som vi ser, även i media och, verkar det, till och med hos regeringar, då de aldrig var sena att anklaga Honduras legitima regim för påstådda övergrepp utan att vänta på fakta, men samtidigt inte säger ett pip (eller som i APs fall bara framför versionen från Chávez propaganda) när Chávez begår uppenbara övergrepp mot mänskliga rättigheter. Jag kan förstå varför Sverige kröp för Hitler, men varför krypa för Chávez? (Att vänsterpartiet stödjer kommunistiska diktaturer med skattepengar har naturligtvis ideologiska förtecken, men jag talar om de andra, i den politiska mittfåran.) Jag hörde också igår, men minns nu inte vem som sa det (möjligen hans hustru, möjligen Alejandro själv, kanske någon annan) att Brasiliens president Lula da Silva framstår som strategen, figuren i bakgrunden som drar i trådarna, medan Chávez är den som skickas fram i rampljuset. Det vore i så fall strategiskt klokt av da Silva, för ända tills då Zelaya tog sig in på deras ambassad i Tegucigalpa så hade hans politiska inställning inte riktigt kommit fram. Nu är den dock solklar. Brasilien under da Silva är lika rabiat som Den Bolivarianska Republiken Venezuela (som Chávez låtit döpa om den till), när det gäller Honduras. Fullständigt oresonabel är karln, bryr sig inte ett dyft om fakta. Lyckligtvis är det snart presidentval i Brasilien och oppositionen delar inte hans syn. Varför tog jag upp Brasilien? JAS. Så länge Sverige tror sig kunna sälja JAS Gripen till Brasilien så har de (verkar det) veto-rätt över Bildts utrikespolitik. Tänka sig, det heter att vi skall ha egen vapentillverkning för att kunna ha en egen utrikespolitik. Istället böjer vi oss för Brasilien, en reell allierad till Kuba, Ryssland och Iran, förutom Venezuela. Om priset är att vi låter en demokratiförkämpe ruttna i ett politiskt fängelse, och ett land som försvarar sin suveränitet med fredliga och demokratiska medel bli utkastat ur den internationella gemenskapen, ja då har vi ingen moral. Länkar: Också publicerad på NewsMill. DN skriver om FARC-anklagelserna, och uppgrävningen av Simon Bolivar, men inte om detta. Update 2010-07-19 10:31 – A report from Alejandra Peña Esclusa, from inside his prison on July 17, in Spanish, has been published at Fuerza Solidaria. Last updated 2010-07-15 09:36, first published 2010-07-13 11:34 ET: Alejandra Peña Esclusa, director of UnoAmérica, former presidential candidate (in 1998), was detained in his house Monday evening in Venezuela, according to information from his wife. Only hours earlier, Peña Esclusa had posted a video editorial online, which explains the situation (here with English subtitles, part I, part II). He predicted that he would be arrested the next day, but he was arrested just hours later. It makes that video essential for reporters to see since it provides his point of view, as a counterweight to the propaganda lies from the dictatorship in Venezuela. 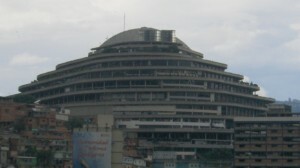 Headquarter of SEBIN, the Venezuelan political police. This is Chávez's GULAG, where he keeps political prisoners, including Peña Esclusa. Peña Esclusa is accused of having links with terrorism. The other day an alleged terrorist from El Salvador was shown on TV in Venezuela, but the opposition sniffed out that something wasn’t right with the story. This Chávez Abarca confessed too easily, was only allowed to be interviewed by TeleChávez (aka TeleSur), and his story was not credible. The Venezuelan regime said that Abarca was arrested when arriving in Venezuela for carrying out terrorist acts, but Mrs. Abarca said that her husband was kidnapped in Guatemala and brought to Venezuela against his will. He was then immediately flown to Cuba and stuffed away in Castro’s GULAG, unavailable for questioning. The video editorial also shows how this defamation has been going on for a long time. As one of the more egregious examples he shows footage of how he has vilified for defending the sovereign right of the Republic of Honduras to govern itself according to its own laws. Obviously this is within his role as chairman in UnoAmérica. He explained simply that since president Zelaya was attempting to overthrow the constitution (on orders from Hugo Chávez), the judicial system in Honduras had every right to remove him from office. (In fact, the civil servants did not just have the right to do it, they had a constitutional obligation to do it.) Thus, he concluded, it was not a military coup, and Micheletti was the constitutional president of the republic. For expressing this opinion, including before the International Criminal Court, he was charged with treason. In an appearance on Colombian TV, LA NOCHE, Wednesday night together with Honduran ex-president Micheletti, Peña Esclusa’s wife Indira Ramirez de Peña said that her husband since 1994 has been denouncing Chávez’s plans to spread the Cuban revolution in Latin America, exposing him as a front man for Castro and the narco-guerilla FARC in Colombia. Recall that this is just 2 years after Chávez’s failed military coup in 1992. Peña Esclusa is effectively the main political opponent of the ruler, opposing his plans all over Latin America. She further pointed out that it is absurd that her husband would keep explosives in his apartment even when he knew that he was going to be arrested, as evidenced by the video he posted hours before. Micheletti in no uncertain terms stated that the free and democratic countries of the world must stand up for the falsely accused, and that “his words are strong, his words are brave, and logically this scares Mr. Dictator Hugo Chávez.” Other quotes: “It’s inconceivable that when that mummy on Cuba is releasing political prisoners, this guy is putting new ones in.” About Hugo Chávez he said that men should not believe themselves Gods, and that even though Chávez calls him “goriletti” (combination of gorilla and Micheletti), he is not participating in the name-calling because he doesn’t want to insult the apes. The parliamentary elections on September 26 have to be won by Chávez party for him not to lose control. He appears to be prepared to go to any length to “win” the elections. At what point shall his title change from “president” to “dictator”? I would say today. The last democrat to leave, turn off the light. There is only one significant independent TV station left in Venezuela, Globovisión which reaches 42% of the households, and its majority owner Guillermo Zuloaga and his son went in hiding after an arrest order had been issued on trumped-up charges. See Washington Post and Wall Street Journal. They have now turned up in the US where they allegedly are considering applying for political asylum. Media: Venezuela: Opposition politician arrested on explosives charge, Venezuela’s Chávez jails his political opponent‎, Freedom Activist Arrested in Venezuela on False Charges. Associated Press is publishing PURE PROPAGANDA from Caracas, leaving out essential information such as UnoAmerica and his former run for the presidency, while printing all the government’s ridiculous accusations. In Sweden, a liberal politician has found that the leftist party is funneling tax money to support Hugo Chávez communist revolution. Edited 2010-07-13, originally posted 2010-07-12: During the unfolding of the crisis in Honduras last year, someone posted a text written by Eva Golinger as a comment on this blog. I of course disapproved it, as it was stolen work, but I was impressed with the text nonetheless. So better late than never I googled her to see who this person might be. I found out that she has been described both as a political prostitute and as a new Tokyo Rose. It turns out she was born in the US of A, but with Venezuelan roots on her mother’s side, her Latin name thus being Eva Golinger Calderon. Wikipedia says she has a JD, a juris doctorate, from CUNY in 2003. However, a search for her dissertation thesis on scholar.google.com yields no hits. * She is frequently represented as an attorney, and has even given paid legal advise to Venezuela’s propaganda office in the US. Again, even this has been cast in doubt in early 2005, and it seems she had been disingenuous about her legal credentials. Apparently later in 2005 she was, however, registered as an attorney. I am not talking about her political “analyses”, as in this piece, “Honduras: A Victory for Smart Power”. That text is opinion and guesswork, not fact and logic. The hilarious thing is that she congratulates president Obama, her “enemy”, for something he didn’t do. And she does not give the Hondurans credit for something that they actually did do, namely to take their destiny in their own hands. No, when I talk about shoddy quality I mean this blog article, “Coup d’Etat Underway in Honduras”. In it Golinger clearly states that the Supreme Court of Honduras (CSJ) had ruled the poll that president Zelaya was planning illegal. Small wonder, as I don’t think there is a single country in which it is legal to hold a Constituting Constitutional Assembly, since that implies abandoning the existing State. However, this seems to completely escape the alleged juris doctor. Her substandard fact-finding is also evidenced by this statement in the same sentence: “[Honduras] has a very limited constitution that allows minimal participation by the people”. She propably has never read their constitution. It is anything but limited in sheer size, being one of the longest in the world, and the republican form of government is rather similar to that in her native USA. This leads me to question her academic competence. She looked (albeit superficially) at the facts, and drew the wrong conclusion from a legal point of view. She apparently lacks the intellectual tools for carrying out a legal analysis based on the law. Either that, or she choses not to deploy them. Although no thesis showed up on scholar.google.com, there were several books written by Golinger. They all seem to deal with criticism of the US for its interventionist foreign policy, and defense of Bolivarian Venezuela for its policy. While some of the criticism – or even much – of the US may be justified, she seems to have developed a case of paranoia. To think that the US was behind the events in Honduras is clearly not a sign of sanity. Her twisted description of reality is tragic. The many revoked visas suggest a certain degree of displeasure in Washington visavi Tegucigalpa, which totally seems to have escaped Golinger. Conversely, there was a proposal in Tegucigalpa of throwing out the US from their country since they did not trust the gringos any more, now that Obama seemed to side with Chavez. The real reason why Washington did not go further in pressuring Tegucigalpa was probably that Micheletti was squeezing back, in a place where Obama felt it. Not that they supported the legal action taken. On the other hand, Golinger is unquestionably defending Chavez, even though evidence has come forth that he was behind the murders at the airport, and the staged media propaganda both there and in El Paraiso (1,2,3,4,5,6). But why shouldn’t she? After all, Chavez did use her as a mouthpiece for attacking the US, calling her “la novia de Venezuela”, ‘Venezuela’s girlfriend’, and she was and is a paid hand in Chavez’s propaganda machine. This year she got hired as editor for the English language edition Correo del Orinoco International, a leftist newspaper launched in 2009 and financially backed by the Venezuelan government. To sum up, some on the Internet has Eva Golinger as a cross between a political prostitute and Tokyo Rose. I don’t know if that is true or not. But if it were true, it would be quite a defamation. Of Tokyo Rose. * Update 2010-07-13: After Eva Golinger has pointed out that she is a registered “attorney” I started researching the US legal education system and realized that a US “JD” is something completely different than a Swedish “JD”. No wonder she has no research skills; a USAmerican Juris Doctor has never done any research. Golinger’s education is a basic 2-year law education. In my Alma Mater, the basic education at “Juridicum” is 4.5 years, and a Juris Doctor must study nominally 4 more years after that (but the real average is longer), a big part of which is taken up by original research (just like any other doctor, including yours truly). So, I was way too hard on her above. She probably just lacks the academic training to be able to make the analysis. Sweden’s right-wing foreign minister Carl Bildt is under scrutiny for his links to the oil company Lundin Petroleum that apparently did business in Sudan when the alleged genocide took place. In a debate article today in the nation’s largest newspaper, Dagens Nyheter, co-signed by two former foreign ministers, Mr. Bildt is accused of mishandling his job, and of risking to damage Sweden’s reputation in the human rights arena. Since the prosecutor has started an investigation of Lundin Petroleum for its role in the human rights violations in Sudan, the political opposition of Bildt is urging him to come clean about his role and what he knew, since he was a board member of the company at the time. In Swedish corporate law the board is responsible for staying informed about the activities of the company, but the question is apparently how much the company knew about the human rights situation in Sudan. The opposition is also accusing Bildt of neglecting his job, of not understanding his role, and of not understanding the importance of diplomacy. As an example they mention that for years Bildt has opted not to deliver the yearly Swedish speech in United Nation’s General Assembly, and that he has ordered the closing of a number of embassies and consulates abroad.